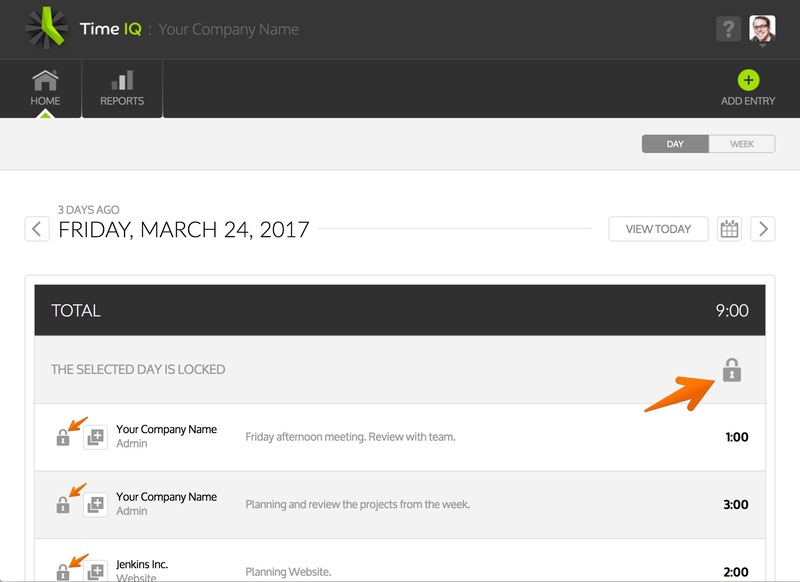 Enabling Entry Locking in Time IQ allows you to control how far in the past your team can make changes to their time sheets. You can select any day in the past, and no time may be added or modified before that date. Entry Locking is a great way to close the books at the end of each pay or billing period. When entry locking is enabled, and a standard user is viewing a date in the past that is locked, they will see a lock icon and will not have access to add new entries or modify entries on that date. Who can make changes to locked days? When a day in the past has been locked, only Administrators in Time IQ can make changes to time sheets for another person. Optionally, Administrators, may enable Managers to have access to make changes to locked days. Who Can Change Locked Entries?